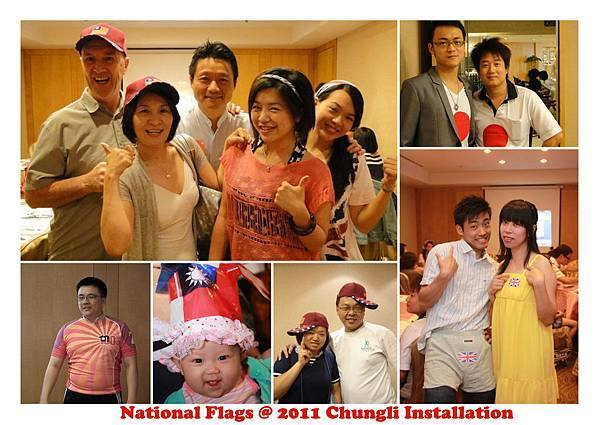 5/27 Regular Meeting 我們在中壢 天氣晴 有中壢TMC的地方，都是充滿活力與熱情!! Picture yourself here! 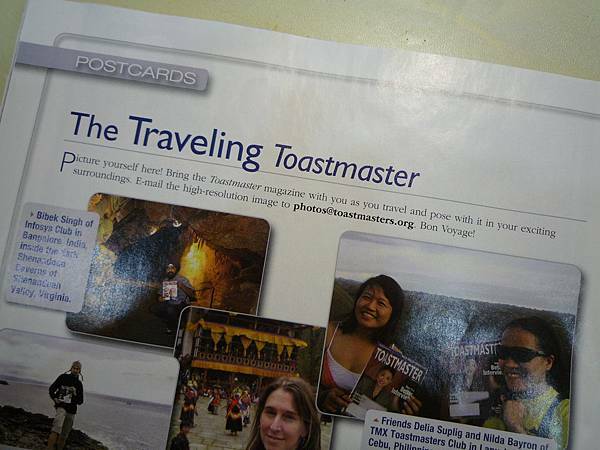 Bring the Toastmaster magazine with you as you travel and pose with it in your exciting surroundings.. 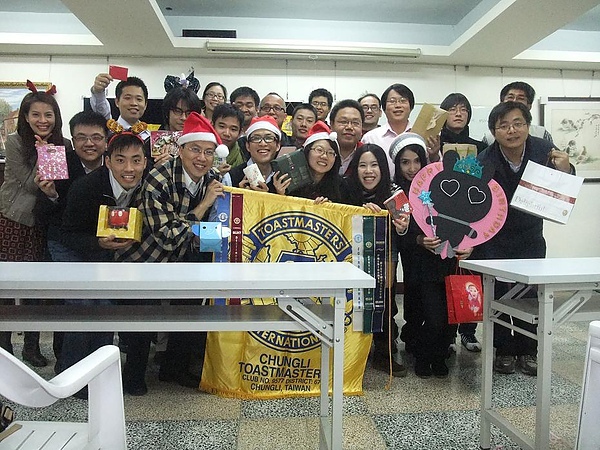 In the daily life, I found that The Spirit of Toastmaster is everywhere. 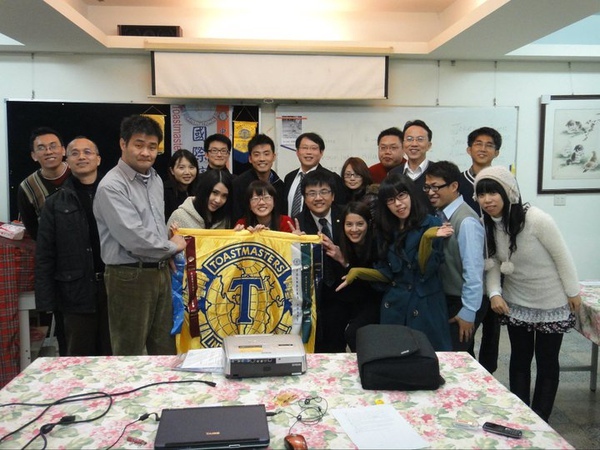 Prepared speech & table topics contest always been one of the most important events for all Toastmasters club, of course, Chung Li club won't be exception. 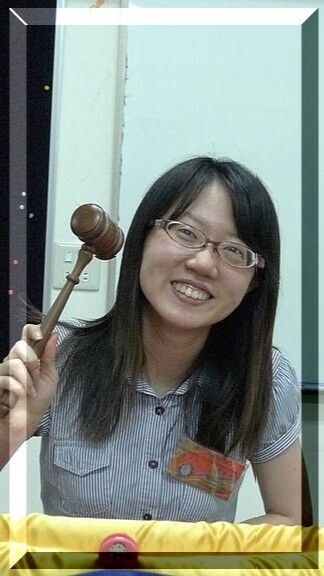 Today, Iris would like to share some stories behind the contest with you. Congratulations!! 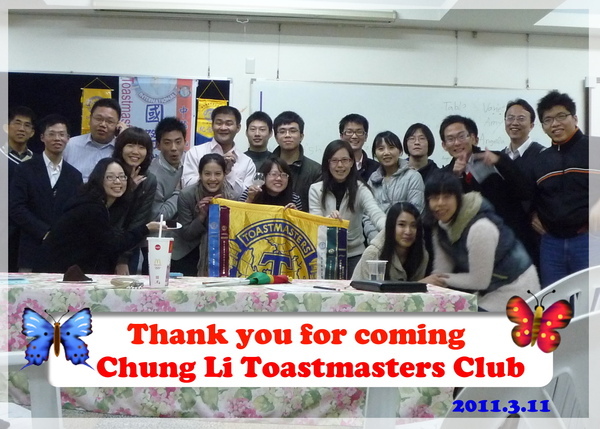 Chungli Toastmasters club had a successful in-house contest on Feb.25. 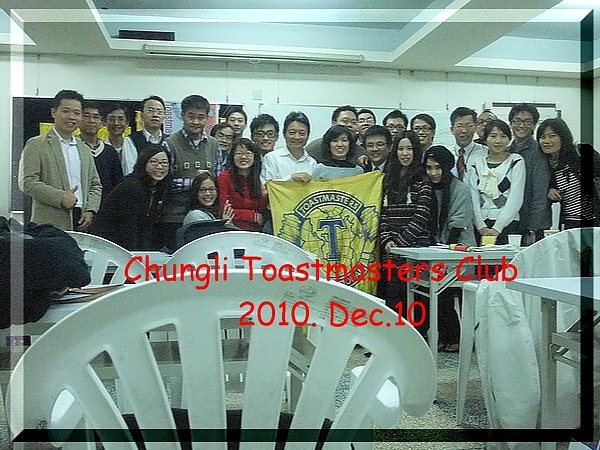 2011 Chungli Toastmasters club 我們有兩個好消息哦!! And sorry I could not ravel both …..